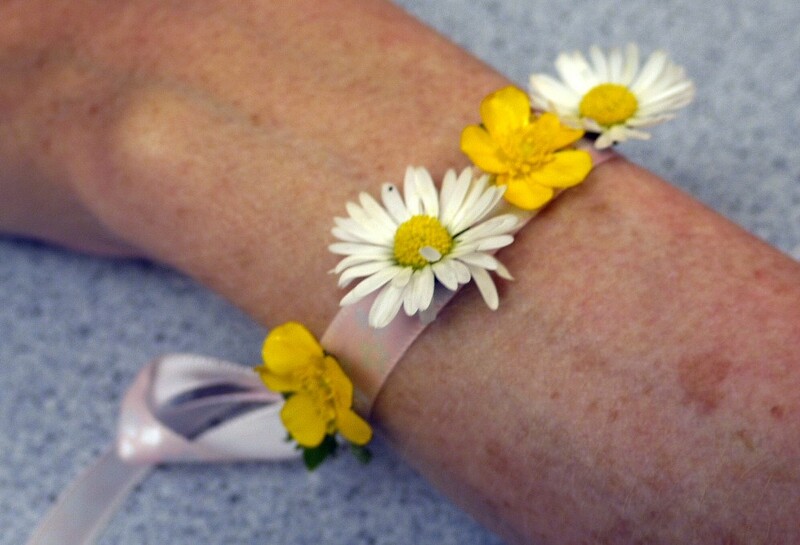 Use pretty daisies and buttercups, or whatever wild flowers grow readily in your part of the world, to make this delightful corsage. You will need to make it just before you wish to use it because obviously it is only going to last a few hours. It will only take minutes to make. 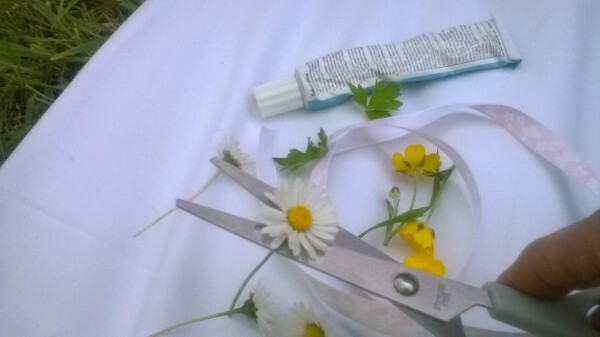 Make sure you have your ribbon ready cut to the right size and have your glue to hand before you cut the flowers. Be sure also that the flowers you pick are common ones that you know grow abundantly. Do not pick anything rare. 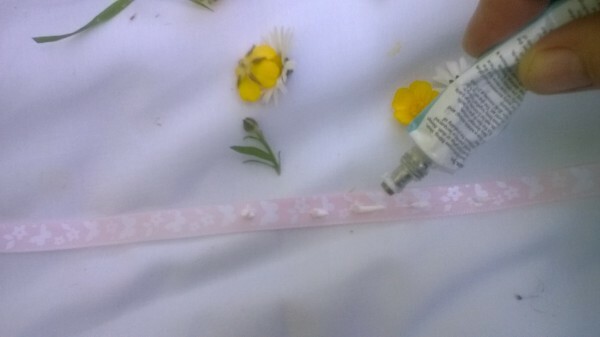 If you are using a glue gun make sure you have it ready heated up. I have used a strong and thick PVA fabric glue (similar to wood glue) which dries within about half an hour. (Don't use a hairdryer, it will wilt the flowers.) A glue gun is better because it dries almost instantly, but it needs a bit of practise if you have never used one before. Snip the flower heads off the stems with your scissors and the leaves off their stalks. Apply glue to the centre of the ribbon. I have used 1cm wide ribbon, which is perfect for daisies and buttercups. 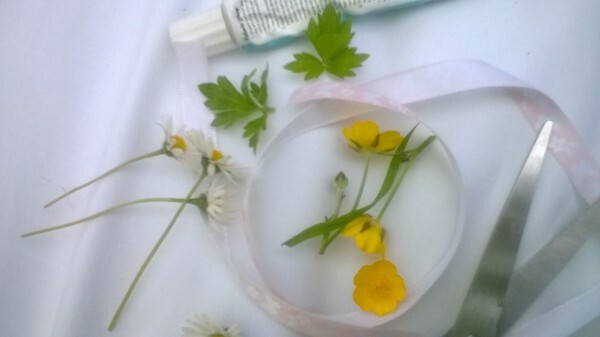 If your flowers are larger then you will need wider ribbon. 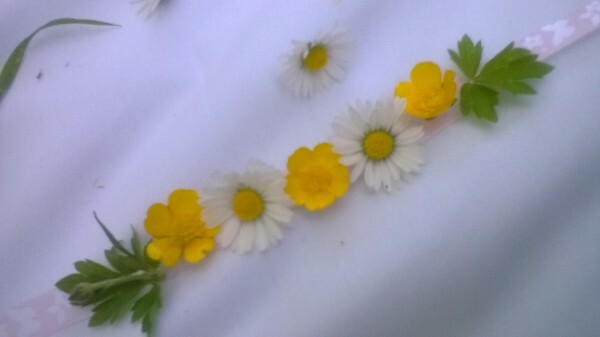 Arrange your flowers and leaves on the glue and leave to dry if necessary. 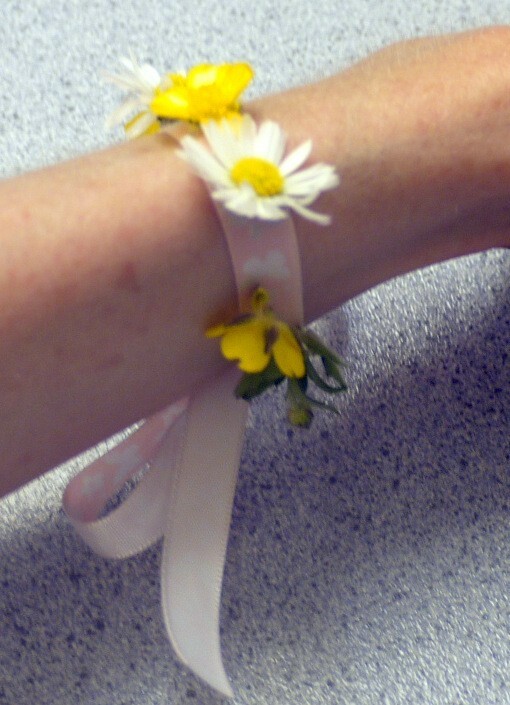 If you are clever you can tie it in a bow around your wrist, but you will probably need someone to do it for you. Doesn't it look pretty? If you have time you can also make a hair band to match.